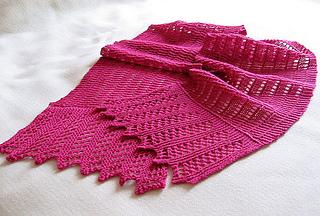 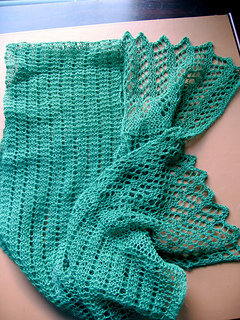 Original lace pattern from Weldon’s Practical Knitter. 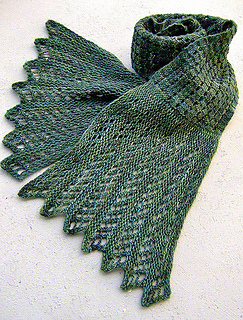 Yarn & Colorway: Shown in book in hand-spun silk. 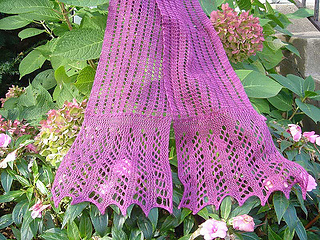 Almost any Fine weight or Light weight yarn will work; remember, a thicker yarn with bigger needles will make a wider scarf. 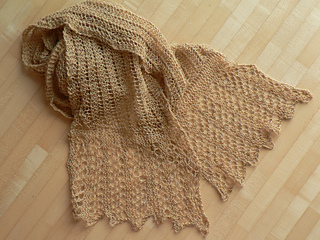 Match the tension of the bind-off to the cast-on edge. 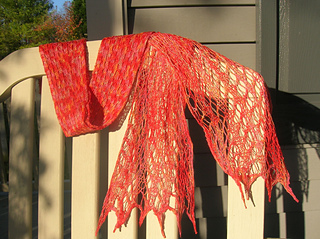 To make a narrower (or wider) scarf, work 2 fewer (or more) 12-row repeats of Chart A for borders AND pick up 12 fewer (or more) stitches for center section.